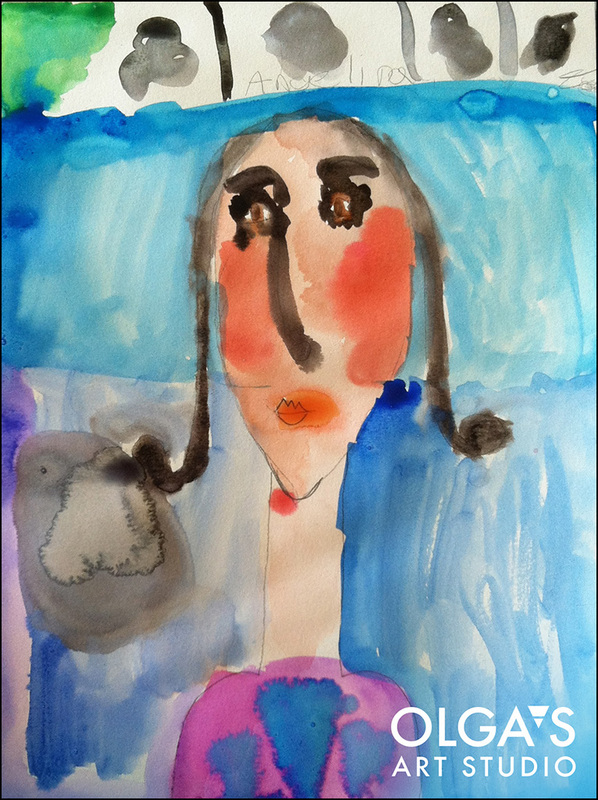 7 year old Angelina created a self portrait inspired by Amedeo Modigliani. After watching a demonstration on drawing a face and understanding proportions she elongated proportions to create this touching watercolor portrait. If you’d like to see your child inspired come check us out at our convenient Edgewater location. This entry was posted in Children's Artworks, watercolor and tagged Amedeo Modigliani, art classes for kids, self-portrait, watercolor on November 11, 2014 by Olga Rogachevskaya-Chu.